The Shanghai government has ordered official bodies to take precautions against falling objects after a collapsed signboard claimed three lives in a popular downtown tourist area. 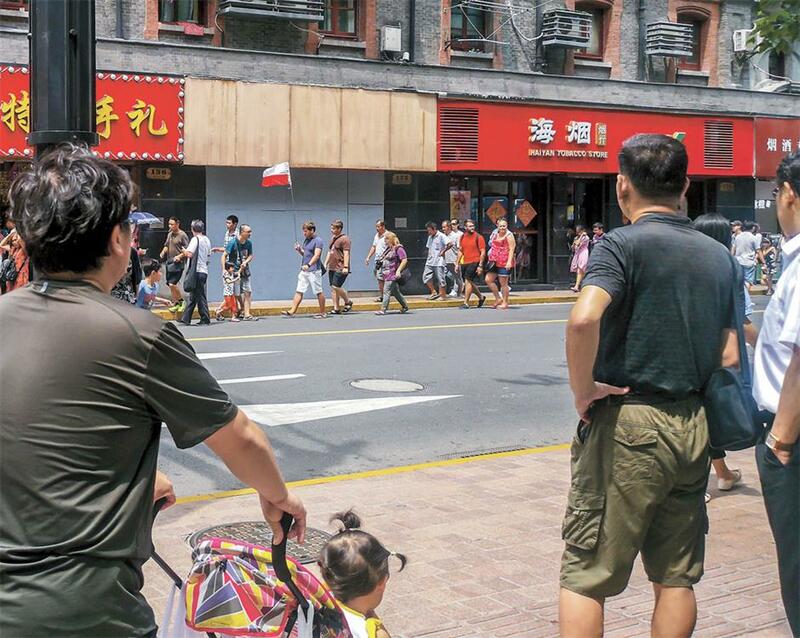 People walk past the site on Nanjing Road E. yesterday where a falling shop signboard killed three people on Sunday night. The Shanghai government has ordered all official bodies to take precautions against falling objects after a collapsed signboard claimed three lives on Sunday in a popular downtown tourist area. A notice issued by the General Office of the Shanghai People’s Government yesterday urged authorities to take safety precautions and eliminate other potential falling hazards. Authorities should step up inspections on all objects at height and rectify any problems, the notice said. Objects at height include shop signboards, external air-conditioning units, curtain wall glass and lamp boxes. The notice also said that authorities should pay special attention to outdoor hanging objects in popular commercial streets and other crowded public areas, as well as those attached to old buildings. Those who failed to carry out such inspections would be held accountable, the notice added. It also called for a long-term inspection mechanism to eliminate further accidents involving falling objects. Three pedestrians died in an accident at around 9:40pm after the signboard of a shop at 132 Nanjing Rd E. toppled down, according to a statement posted on the official Weibo account of the information office of Huangpu District. The accident site is less than 300 meters from two iconic tourist attractions, the Bund and the Nanjing Road Pedestrian Mall. Six other people were injured by the falling signboard and were taken to hospital. They are in stable condition now, the statement said. The local administration of work safety has launched an investigation into the accident, according to the statement.